This is the fifth post in Blue’s Clues, a series on the resolutions and reports of the Episcopal Church’s General Convention. The index of posts is here, and my index of resolutions and likely votes is here. The Advisory Council on the Stewardship of Creation was created by resolution 2015-A030 to do several things. The original resolution was vaguely written by the Executive Council Committee on Science, Technology and Faith, and then at General Convention the legislative committee modified it quite a bit. What we read in the linked resolution, above, was created by Bishop Marc Andrus in a floor amendment in the House of Bishops. Along the way, what began as vague resolution that would have done nothing turned into a resolution that created more work than was realistic, given the resources we were going to apply to the problem. Still, the advisory council did some solid work (read their full report) that will be good for our church and the world. The resolution’s mandate was for the Episcopal Church staff “to implement a program to develop parish and diocesan resources designed to support local ecologically responsible stewardship of church-related properties and buildings.” This was to be done through a fairly complex set of provincial committees working within their provinces and with the constituent dioceses. There are other aspects too. Go read the original resolution if you want to see the scope of what they were asked. I should note that this report is very well written, clearly documenting what they did, how they did it, and what parts of their work they could not complete and why. As I’m reading through the Blue Book, this is the first report that really shows off a style quirk of the Blue Book. Every number–there must be at least a hundred (100)–is both spelled out and put in parentheses. I’m sure there was a (1) good reason for this, but it makes for jarring reading. That’s not the fault of the folks who wrote this particular report, and there may be a great reason, but zoinks. By the end, your two (2) eyes will be weary of reading a bazillion (∞) of these. Anyway, I have digressed. The advisory council awarded $334,419 in grants, for a variety of kinds of projects across the church. You really should go read the full report for details. It’s very encouraging to see what people are doing. I do wish our communications staff at the church center had time to report more about how these grant programs are working out. If someone is able to do amazing things with $10,000, maybe another place could do the same. The committee also identified three “eco-justice sites” in Alaska, the Dominican Republic, and Louisiana. The need for eco-justice intervention in each of these sites is clear. What is less clear to me is that the Episcopal Church can be meaningfully involved in a way that others cannot. In other words, I wonder if there are more effective stakeholders to engage in the kind of work that needs to be done — groups that will have access to resources vastly beyond what we can make available. I’m not opposed to the work, and if there’s a good case for us to be doing it, I’m completely supportive. This just wasn’t clear to me from the report. Last call: do read the whole report. Frankly, our ability not just as a church, but as a species, to engage in creation care work, will determine a great deal about our future. We’d better get this sorted out, and we had better be willing to make creation care and environmental justice top priorities. Kudos to the advisory council for diving into the issues, doing some great work, and commending us to go further. The committee may have believed that they would receive a prize for submitting the most resolutions, because, golly, they submitted a LOT of resolutions. Let’s dig in. A008: Continuing the Advisory Council on the Stewardship of Creation. Full text. Likely vote: YES. As you’ll know if you’ve been reading 7WD for a while, I’m not a big fan of creating or continuing committees. But in this case, the issue creation care is so vital, and our church’s ability to make positive change so great, that it is essential for us to do this work. They outline a reasonable scope of work for a continued committee. There are two problems with the resolution, one silly and one enormous. They say the group should be fourteen (14) to fifteen (15) people. Seriously. I mean, pick one of those two. Or pick a big range. Specifying a range of 14 to 15 seems like they’re messing with us. But the other issue is huge. They ask for $1.1 million in spending. I don’t know exactly why they want that amount, and that’s a huge problem. Assuming there’s a clear plan, it needs to be in the resolution’s explanation. Because, guess what. No one at General Convention agrees to spend a million bucks without a clear and precise sense of what it’s for. I hope the committee will bring clear and persuasive evidence to the legislative committee hearings, and that this will be spelled out in the resolution text (see the church planting resolution for an example). If they are serious about getting that kind of allocation, they need to be persuading folks right now, even before convention. A009: Creating Greening Loans. Full text. Likely vote: NO. Churches need to spend money to make themselves “green” or environmentally friendly. Many congregations will need a loan to afford this, and this resolution proposes creating a loan or small grant fund to support this work. At least at present, interest rates are low enough that churches should be able to seek commercial loans or local preservation grants/loans. Administering loans is outside the scope of what we as a church do well, and we should only do it when it is absolutely necessary. Churches will need loans to do important work, but I don’t see the need for the Episcopal Church to be a loan or grant-making body for this work. A010: Tree Planting of “Paris Groves”. Full text. Likely vote: NO. A011: Oppose Environmental Racism. Full text. Likely vote: YES, but only if amended. Environmental degradation disproportionately affects people of color (and poor people). Makes sense, since powerful, rich, white people are going to make sure coal plants and the like are not in their back yards. This resolution asks the Episcopal Church Office of Government Relations to advocate for policy changes to address this. Notably, like many of these kinds of resolutions, only the USA is mentioned. We are a church of 17 nations, so I’m not voting for American exceptionalism at General Convention; if you want me to vote yes on these, make sure we are address policy in other nations, too. As a committed Christian and also a proud liberal, these are things that I certainly take into account when I’m voting. As I’ve written before, it’s not always clear to me that our lobbying church’s efforts are efficacious, though I’m willing to learn that this works. However, I am 100% sure that voting yes on something like this and convincing ourselves that we’ve done our work is wrong-headed and spiritually damaging. So we need, when voting, to differentiate between “how do I feel about this issue” and “will voting yes actually result in real change or commit our church to new work”. I’d like to see this resolution amended two ways. First, let’s ask our Washington office to educate Episcopalians in the USA and around the world. Encourage public policy learning and advocacy among regular members. Second, and more important, I’d like to see commitments from our church to change our own environmental practices. If we’re going to demand policy change away from coal powered electricity, for example, let’s require church institutions to select green or sustainable power generation options. It will cost more, but discipleship is always costly. As it is, this is a feel-good resolution that reinforces an America-first worldview. I can’t vote for it, even though its desire to address an important underlying issue is noble. A012: On the Importance of Ecumenical and Interfaith Relationships for the Stewardship of Creation. Full text. Likely vote: NO. This resolution urges us to make stewardship of creation a priority in interfaith and ecumenical relationships. I do believe everyone who is likely to be doing this work is already on board with the importance of environmental work. I’m not sure this does anything more than allow us to say that we voted for a thing. 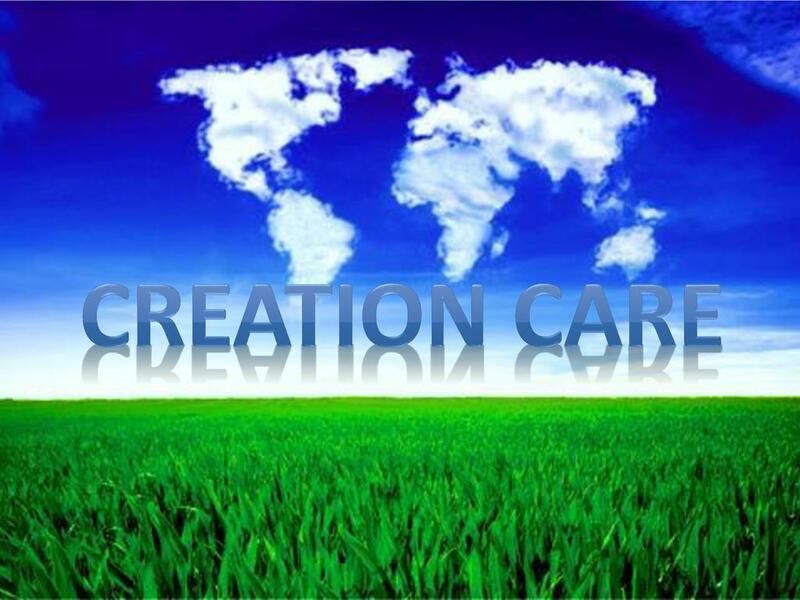 A013: Facilitating the Development of the Church’s Ministry of the Care of Creation. Full text. Likely vote: NO. If this resolution passes, it calls for the Presiding Bishop to establish a new position: Officer for the Stewardship of Creation. Bishop Curry already has a canon for evangelism, racial reconciliation, and creation (care). She and her office are leading our efforts across three important Episcopal Church priorities, including creation care. I do not think General Convention should be in the business of dictating staffing decisions. If our presiding bishop or his staff believe they need an additional staffer for this work, they can make it happen. I’m not opposed to the position, but only to the idea of 1,000 voting bishops and deputies making org charts. A014: The Use of Carbon Offsets. Full text. Likely vote: YES. This resolution asks the Episcopal Church Center to create a policy requiring carbon offsets for staff and committee member travel. It’s a good idea. It’s workable, it has clear benefits, and it’s a way for the church to lead in action, while modeling behavior that individual church members could adopt. I do wish we didn’t have to do this sort of thing by resolution, but I will overcome my reservations to vote yes for something that is clear, achievable, and beneficial. A015: Anti-Racism/Diversity/Bias Awareness Training for Interim Bodies. Full text. Likely vote: YES, but only if modified. The General Convention has passed loads of resolutions commending anti-racism work, and the Executive Council has passed another load of resolutions. We don’t need more resolutions calling for a thing. This resolution says that General Convention interim bodies of various sorts should have anti-racism training. Seems like a good idea to me. Rather than saying it’s a good thing, let’s make this a canon and really require it. Or maybe require it for committees at the diocesan level, too. Perhaps someone will argue that if all the individuals on a committee have undergone anti-racism training recently, the committee as a whole doesn’t need it. I can see that one both ways. But let’s stop saying anti-racism work is important without doing more. If it’s important, let’s require it. It isn’t enough for General Convention to “require” it; it needs to be receive the strength of a canon, with consequences for those who flout it. Also, I’m not sure why the creation care advisory council is raising this, but I wouldn’t squash it on those grounds. A016: Trial Use of Creation Care Language in the Baptismal Covenant. Full text. Likely vote: NO. Setting aside my own question about whether an inanimate object can have dignity, I don’t think either of these options is helpful. We already promise to repent of our sins. Surely environmental sins are covered there. We already promise to respect the dignity of every human being. I cannot respect someone’s dignity while I am polluting their air, water, or land. So environmental sins are already covered. Imagine if we start listing every kind and category of sin in the baptismal promises. Soon we’ll have a Great Litany-length set of questions. The beauty of our current eight questions (three forming the Apostles’ Creed, and five “rule of life” questions) is precisely that they are brief and memorable. Less is more. A017: Creation Liturgies in Prayer Book Revision. Full text. Likely vote: NO. This resolution does three things. Firstly, it commends the Anglican understanding of lex orandi, lex credendi. Secondly, it suggests that when we do prayer book revision, we should include creation-focused liturgies. Thirdly, it asks that we incorporate creation care into Baptism, Eucharist, Confirmation and Ordination liturgies. OK, yay, Anglican approaches to prayer. But we don’t need General Convention to say that. Let’s figure out if we are going to revise the prayer book before we start telling prayer book revisers what to do. And, finally, our baptism and Eucharist liturgies are already infused with teaching about the goodness and holiness of creation. The litany for ordinations already contains a petition about using the riches of creation rightly. As I wrote above about the proposed changes to the Baptismal Covenant, I do not believe we need to modify all liturgies to name creation care specifically. Liturgies do not need to carry the freight of every concern. And if we do want our Sunday gatherings, for example, to be more creation-focused, our current prayer book already allows us to use the Order for Celebrating the Holy Eucharist, which permits the crafting of focused prayers. Indeed, if a community does this, they could be presented to future General Conventions for authorization. That seems to me to be a better process for getting liturgies that reflect our needs and our hopes. A018: Episcopalians Participating in the Paris Climate Agreement. Full text. Likely vote: NO. After a set of whereas-clauses-rewritten-to-look-like-resolved statements, the resolution gets to its point, urging Episcopalians to set an example by “making intentional decisions about living lightly and gently on God’s good earth, for example, through energy conservation, renewable energy, sustainable food practices, gardening, sustainable coffee hours in parishes (considering the carbon footprint, resourcing, health consequences, and waste streams of materials, locations)…” OK, but we already agree that these are good things. If I looked them up in previous General Convention actions, we’ve probably said all this. If we want to have sustainable coffee hour, let’s require (as in, with canons) the use of sustainable coffee. Or whatever. I just don’t see the point of aspirational lists of things we ought to do. These things are linked, loosely by affiliation, to the Paris Climate accord, which also seems odd to me. If we are urging people in nations whose governments have stepped out of the Paris Climate accord to follow its mandates, then let’s do that, specifically. A019: Create a Task Force to Study and Report on the Intersection of Evangelism, Church Planting, and Care of Creation. Full text. Likely vote: YES, but only if amended. This proposes another task force to “determine how many of the new ministries begun with funding from The Episcopal Church since 2000 integrate the care of Creation as a core component of ministry” and “make an assessment as to whether and how these methods of ministry are effective in engaging younger generations.” This is probably a topic worthy of investigation, but I’m not sure we need another task force specifically for this. Maybe the work can be given to a church planting committee or to evangelism staff. I think there are probably truckloads of articles and research on some aspects of this question already, so we probably don’t need to reinvent that wheel with a brand new study from scratch. And if someone wants to reach out to new congregations and find out whether creation care is a focus, this is doable. We live in the age of Google and social media. This is not something that requires an expensive task force to take a long time; it’s a manageable project to give to staff or an existing committee. General Convention does not need to create a new committee and spend $100,000 for this. We can get this information more quickly and with less money. I hope we will look into the important topics that this resolution raises. A020: Fossil Fuel Divestment. Full text. Likely vote: YES. I do agree — and you’ll see this in several other resolutions from various groups — that socially responsible investing is a topic we need to address with the Church Pension Fund, and indeed other Episcopal entities too. Perhaps this topic does require a separate committee specifically focused on this. I think asking the pension fund board to look at this is fine, but I think we probably need “outside” experts as well. There are several topics that touch on ethical investment, so we might broaden the mandate beyond climate change to address other moral issues. That said, this resolution is worded clearly, and the mandate is reasonable. Whatever the findings from this resolution, or others like it, I’d like to see us move some ethical investing requirements into our canons. If investing in certain ways is morally problematic, let’s require not just the Church Pension Fund, but other Episcopal entities as well, to avoid these problematic investments. Surely doing the right thing is more important than getting the best possible rate of return on investments. I really hope we don’t have to argue that point in a church. A021: Canonical Change: Integrate the Care of Creation into Theological Education for Ordination. Full text. Likely vote: NO, but I want to hear other arguments. This would change the canons that define what we require of those preparing for ordination (to the priesthood only; the diaconate is not addressed here) to include environmental issues. It would make two changes. First, “Christian Ethics and Moral Theology, including environmental ethics and theology.” Second, “The Practice of Ministry in contemporary society, including leadership, evangelism, stewardship, ecumenism, interfaith relations, mission theology, environmental stewardship and care of creation, and the historical and contemporary experience of racial and minority groups.” The italic bits are new. At the risk of some irony, since I have been saying we should change the canons if we’re serious, changing ordination requirements for priests raises questions for me. Why include environmental issues in Christian ethics, and not racism? Why not list more moral and ethical issues? The second proposed change seems more reasonable, but I don’t know that adding it is necessary or that it will change things. But if someone can make a good case, I’m certainly willing to add environmental issues to a list of topics in contemporary society with which we are to be concerned. I note that we’ve changed ordination requirements at every General Convention I remember. Maybe we need to pause and ask ourselves why we can’t settle on requirements for ordination. Maybe that points to a deeper problem that invites further reflection. Or maybe constant change is the new normal? And why are we concerned with priestly ordination, but we’re not mucking about with diaconal or episcopal ordinations so much? What does that say? Creation care is a vital issue. I wish this advisory council had focused on three or four well-crafted, essential resolutions. Then their efforts — and the work of convention — could be precise and effective. Instead, I worry that we’ll dilute an important issue into a bazillion resolutions. As I’m voting at Convention, I hope to remember the importance of stewardship of creation. I’d hope to see many of these resolutions discharged in committee and some of the remaining resolutions combined into fewer resolutions. That way, the legislative process will be more likely to yield results that will change our church, change the society around us, and change our environment for the better. Remember, when you’re thinking of resolutions — whether in proposing or in voting — quality counts over quantity. I hope we pass some quality resolutions on creation care. Blue the dog would enjoy some more green grass. And, more seriously, we should care about creation because of our love of God and our love of neighbor. NOTE: If it annoys you that you had to read 3,600 words on this, think of your weary blogger. He might be slightly annoyed at the advisory council, though he can’t wag his finger at them, since his fingers are now exhausted after all this typing. Despite his weary fingers, he is grateful for the advisory council’s passion in getting Episcopalians engaged in creation care. Hi, Scott. Looking forward to seeing you in Austin. A few thoughts on this question of policy resolutions. Regarding your comment that “I am 100% sure that voting yes on something like this [policy resolutions] and convincing ourselves that we’ve done our work is wrong-headed and spiritually damaging.” Well, I would agree that we should never feel our work is done just because we said something and sent it to OGR. But I also think there can be a dynamic relationship between what we say at that level and how it gets discussed and acted upon at the local level. Well, first, we have a responsibility as deputies to communicate with our dioceses about what we did, and why. Not everything will merit a big discussion, but hopefully we are bringing the perspective of the wider church back home. Our policy statements also make their way out to the church via the Episcopal Public Policy Network, which sends out alerts, with background information, on various topics. In a more organic sense, many of our policy resolutions arise from a sense of urgent need at the grassroots, for example on immigration enforcement, gun violence, or issues pertaining to Native land use, and are already being acted upon at some local level, but discussing them at GC brings attention to these issues in the wider church, to people who maybe aren’t experiencing ICE raids or mass incarceration. But over time, as we hear the testimony, respond to them by taking a position, as those resolutions are acted upon via OGR and EPPN, as we hear theological reflections relating to them from the Presiding Bishop, as we look on Facebook and see sustained action campaigns such as the Diocese of LA’s Sacred Resistance work on immigration–the message may find itself reaching more people’s hearts and encouraging us to pay attention, perhaps a change of mind, and even action. It doesn’t happen because of one resolution, but resolutions are part of that process. Finally, I appreciate your point about respecting that we are not just the USA, but a church of seventeen nations. We should always have that in mind when we write policy resolutions, and seek to incorporate perspectives and concerns beyond US borders. No question. That said, not every resolution lends itself to doing that. There are different legal systems, different expressions of certain problems, and sometimes it’s helpful just to write a resolution that simply addresses an issue in one region or country, including the USA, but not only. I wrote one in 2015 in support of the efforts of Anglican churches and other organizations in northern Central America to address the systemic state and non-state violence which has led to a mass migration of refugee children from Honduras, El Salvador, and Guatemala to the USA since 2014. And no, I didn’t leave it there and consider it done. My congregation works on that issue through support of the legal and practical work of Cristosal in Central America, as well as by supporting and mentoring three specific young people, here with no family, who are making asylum claims based on that systemic violence, and we participate in faith-based community advocacy to protect all these kids who have arrived in our city in recent years. Thank you for doing all this work to blog the Blue Book, and thanks, as always, for providing comment space for my triennial response. See you in the House of Deputies (and the House of Twitter #GC79). Thanks for reading, and thank you for your comment. I’m always grateful for the conversation. I think the point I didn’t make here — but have made elsewhere — that troubles me is the sheer inefficiency of General Convention doing this work. If I assume that OGR is doing essential work (and I don’t have any need or reason to question that here), surely there are better ways to direct them. My reading of our canons says the PB could do that now. Or we could modify the canons to grant this authority explicitly to the presiding officers acting together. Or executive council, or a committee of council, could do the work. Asking a deputy like me to vote on complex policy issues not only invites ignorant action, but it keeps me from doing other work for which there is no alternative method. I would prefer to see General Convention focused on only those things which MUST be done by General Convention. I would prefer to see General Convention perhaps spend more time outside legislative sessions. Until we streamline General Convention, it will continue to be about two weeks long. As long as we’re there two weeks, we disenfranchise many people (especially non-retired lay people who have “secular” jobs) from participating. Finding a better way to take policy positions is a part of that necessary streamlining. I think you and I won’t agree on the best way to get the church involved in public discourse and advocacy. But I am very grateful for your passion — and your correction of me when I am in error. Looking forward to seeing you, and working with you, in Austin. Thank you. Please do comment again. Frequently, if you like! Thanks, Scott. I can’t argue against the fact GC is in many ways an inefficient way to do business. But if we relied only on the PB, or the two presiding officers, or even Executive Council, to make all the decisions about which policy items are the priority–of course Executive Council already does do this, in between conventions–we would lose something important. I remember being on the old National and International Concerns Committee (now Social Justice and International Policy, for which I will be the chair for deputies this year), and receiving a resolution asking us to repudiate the Doctrine of Discovery. I didn’t really understand it at first. Even after I researched it, I didn’t understand the importance of this resolution for our Native American communities, and really all of us, until the legislative hearings, when person after person after person, representing different Native communities including Navajo, Lakota, Ojibwe, and more, stood up and testified, in words that drew upon hundreds of years of historical understanding. Hearing their words, altogether, it was suddenly obvious. So we did it. And not because of political correctness, but because those words convicted us. It’s one thing, and it doesn’t wipe out all that history, but it’s a beginning. General Convention can be so messy, but messy can be good when communities, when voices usually not heard, can be heard. You’re not wrong about the barriers to participation, and the cost. I’m one of those people you mentioned, a non-retired layperson with a full-time, secular job. I get 3.5 weeks of vacation a year, and I’ll never see a sabbatical in my life. I use a significant portion of my vacation time for church work, including GC. The first year I was at GC, I had to bring my nursing infant and my 3-year-old and rent an apartment, and there was no childcare (I think my mother was the first nursing mother deputy though, in 1979, with my sister Rachel). Since then, we’ve added childcare. My diocese works hard to help pay for our alternates to attend, and to find creative ways to bring along others as well, since we’ll probably never do convention in San Francisco due to cost. I know I value the contributions to legislative hearings from local attendees and from all the folks who make an effort to be there. I value praying with all of together at Eucharist. Thanks Scott for these reasoned comments on the Advisory Council on the Stewardship of Creation BB report. As co-chair of the Council, I am grateful for your insight into our resolutions and report. ( I was also on the Science, Technology and Faith Committee which drafted the initial resolution that was amended in Salt Lake City so I particularly appreciate the context which you offered this.) I too celebrate the amazing eco-ministries that thrive throughout the church and particularly those who have received the grants to grow their ministries. I am sorry that our report wearied your fingers 😉 I am grateful for the use of the word “bazillion” as it’s never really used enough and seems like a badge of honor for our work. I can’t wait to see what happens in Austin as the church celebrates the current inspiring eco-ministry and is challenged to more deeply engage in care for God’s good earth. Thank you for your generous response to my comments, which were, perhaps, at times more critical than I suspect the council might have liked. Please do know that I am grateful for your work. Any difference in perspective is a detail. I do hope we as a church find ways to be more intentional about creation care. Please visit the blog often, and comment a bazillion times. I too am thankful for your insightful write-up on our work (I too am on the Advisory Council). I don’t think you were too hard on us. I am with you on the desire for an end result of a few, good and effective resolutions that are actually actionable. I think our expectation is that these many submissions will find their way into those few. There are a couple of statements about prayer book revisions you made that I do not want to leave unchallenged. I think the fundamental question about the nature and need of such changes is this: Is our lethargy and resistance to bringing our Christian hands and hearts to the emerging disasters of the environment in part due to poor theology, spirituality and worship? Is our common views of God, salvation, love and the world hindering our engagement? If so, perhaps there is a need for a particular corrective, a rebalancing, that requires calling out particular language and emphasis for our day in particular. You make the aside, “my own question about whether an inanimate objects can have dignity.” But I do not think such a material view of creation, devoid of the Spirit of the Creator, is the biblical picture nor appropriate for our day. These “objects” are those that praise, worship, mourn, cry out, and groan as they await their own culmination in the plan of God’s salvation. They are not simply resources, art, goods or backdrop for the human drama. But the prayer book, currently, mostly frames them only as such. This is killing us. Actually. You say, “surely environmental sins are covered there” (in general confession). But then in turn refer to “polluting their (the poor) air, water, or land.” Whose air, water and land? I understand your point, but I think there is an acute need also to say, out loud, that it is God’s air, water and land, as is the biblical world view. If we limit the issue of pollutions to only human impacts, we will not name the necessary sacrilege in which we are entangled. We need the language of gospel, salvation, holiness and fellowship to properly name the problem and find the motivation (thus the call to join the conversations of creation care to evangelism and racism). If I were making the edit to the baptismal covenant, I would simply make it, “respect the dignity of every living thing” or “all God’s creation.” Its dignity is God’s, as is ours. Why separate them out? Again, thanks for your helpful analysis. I also recognize your support for the issues the committee has engaged. But we Episcopalians, lovers of liturgy, need a deep engagement of just how we talk, pray, sing, praise, and speak gospel. The planet is not at stake, but our place on it sure is. Our diocese voted in favor of what is A016 on amending the Baptismal Covenant. I am disappointed to hear of your possible vote against it. My parish was one of the few in the diocese that explored adding a sixth question, and no one in our parish was against the idea. We did this work in 2014 and I am glad it will get a vote at this upcoming convention. Thank you for your comment. As I’ve said before, I’m giving a sense of my current thinking here, but I’ll keep listening and of course, I’ll read the final version of whatever comes out of committee. I’m glad you have provided a link to the Connecticut resource. That may be helpful for readers here, and I certainly found it useful in understanding the background. It’s still not clear to me that we need to add a question; our current baptismal promises would seem to preclude poor creation care or lousy environmental stewardship. And if we start adding specific sins, I’m not sure how we’d decide where to stop. If you cared to respond, I’d be interested to hear your thinking. The report you linked to makes a common mistake. It continually refers to five questions in the baptismal covenant. But there are eight. The first three questions have us recite the Apostles’ Creed in response. The very first sentence of the creed affirms God as creator, which is surely germane to a discussion of creation and covenant. Anyway, I do understand that plenty of readers will not agree with me, and what I value here are the conversations. I hope that lots of us will learn from one another as we draw closer to General Convention. You are right about the 8 questions. I am not so sure adding the question is really about sin. It’s about our connection to what God created beyond humanity, which is not addressed, cherishing God’s wondrous works. I look around the world and see what’s happening with our lack of care for the environment and too often see Christians acting as if this planet is disposable. Dear Scott, as yet another member of the Council, I very much appreciate your thoughtful comments, and well take your point about less is more and focusing on a few well crafted resolutions. Regarding Prayer Book revisions, here are my two (2) cents. As a rector who has for several years done a Creation Season over several Sundays in the Fall, I’ve been frustrated by the BCP’s silence, and where it does speak, its utilitarian approach (e.g. Prayer 41, BCP 827) which is woefully inadequate for an incarnational theology of creation. Scripture says much more than this. The NZ Prayer Book is closer to the theological mark, but its use by us is forbidden. The church has been so silent on this for so long that there are still a number of people who think that our relation to the earth is somehow “off topic” to a life of faith. This is why I’ve felt there needs to be some explicit, intentional incorporation into our liturgy and our preaching. That said, maybe there is a way to encourage collaborative thinking about, praying and sharing of liturgies that doesn’t get stuck on the rocky shoals of Prayer Book revision. Thank you again for taking the time to delve into the report and for engaging the conversation.